Description: In the ancient city-state of Gujaareh, peace is the only law. Upon its rooftops and amongst the shadows of its cobbled streets wait the Gatherers – the keepers of this peace. Priests of the dream-goddess, their duty is to harvest the magic of the sleeping mind and use it to heal, soothe . . . and kill those judged corrupt. 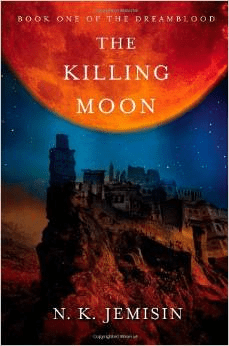 Why: This book is a nebula-nominee. I am also interested in seeing how someone infinitely more aware of race relations than I am handles them in fiction. I’ve also been following Jemisin on Twitter for awhile. I don’t agree with a lot of what she says, but I do appreciate her insights. Description: On a summer day in 1932, twelve-year-old Sammy Lee watched enviously as divers catapulted into the public swimming pool. Sammy desperately wanted to try diving himself, but the Korean American boy — like any person of color — was only allowed to use the pool one day a week. This discrimination did not weaken Sammy’s newfound passion for diving, and soon he began a struggle between his dream of becoming an Olympic champion and his father’s wish for him to become a doctor. Over sixteen years Sammy faced numerous challenges, but he overcame them all and fulfilled both his dream and his father’s. In 1948 Dr. Sammy Lee dove into Olympic history. A matter of seconds after his final platform dive, the scores appeared and Sammy Lee became the first Asian American to win an Olympic gold medal. 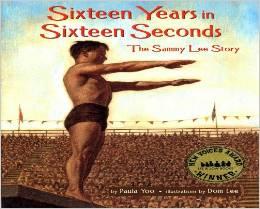 Sammy Lee’s story of determination and triumph sets an extraordinary example for anyone striving to fulfill a dream. Winner of Lee & Low’s New Voices Award, Sixteen Years in Sixteen Seconds will inspire all who read it. Why: My daughter recently said that her favorite sport is swimming. So I thought this might be a book that she would enjoy. We also have many Asians living on our street, and I want her to be able to see these friends as protagonists too. 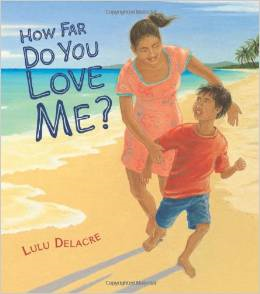 Description: Based on a bedtime game author/illustrator Lulu Delacre played with her young daughters, How Far Do You Love Me? is an “I love you” book with a twist. With every expression of love, readers visit one of thirteen different locations around the world, each a beautifully illustrated scene of adults and children in a place of natural beauty. Why: We already have several “I love you” books. I love that this one focuses on the wonders of our natural earth. Description: The world is filled with bold, beautiful colors, if only you know where to find them. Little Maya finds purple and yellow in the flowers in her garden, red in her swing set, and black in her Papa’s shiny hair. Mud is squishy, cool, and brown. Orange marigolds glow like the sun. Look around you. Where are the colors in your world? 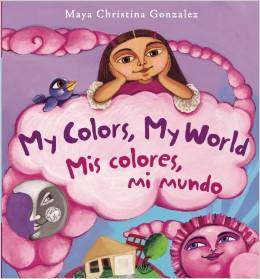 My Colors, My World/Mis colores, mi mundo is Maya Christina Gonzalez’s wonder-filled exploration of the colors and textures that make up the everyday environment of a small child. This new board book format of the award-winning story is perfect for tiny hands and was developed with the help of early childhood educators. The simple, streamlined text introduces rich vocabulary words alongside vibrant acrylic illustrations. Little Maya will draw the littlest readers in to her world, and will encourage them to make connections between the colors on the page and the world around them. Why: My husband lived for two years in Chile, and he’s always been interested in teaching our kids Spanish. We could certainly use more bilingual books in our house to help with that.